and sadly, the second week I had it all my sessions got cancelled and rescheduled. so I e-mailed a friend of mine and asked if there was any chance we could do her maternity pictures that we had been planning sooner (as in, tomorrow?!) and she made it work! 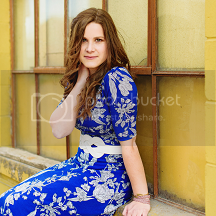 I had such a sweet time photographing her, and loved having her adorable daughter in a few frames as well. ohhh, man I just adore that lens, guys. but I love the wider angle and how creamy it is. so if you are interested send me a message through my contact page or e-mail me! These are beautiful! :) It has to be one of the best photo sessions you've done. Such pretty scenery and such a pretty model. :D Great job! gorgeous!! she looks amazing in red...love all the color pop in this shoot!! Oh wow Hannah these are gorgeous! Each of these is so SO good, Hannah. Such a gorgeous shoot - love all of the deep, vibrant colours. You totally rocked that lens. ;) Blessings!